What’s hot in hair this holiday season?!!! The number 1, most requested style for the holidays are always my signature MsJStyles™SmoothingBlowOut. 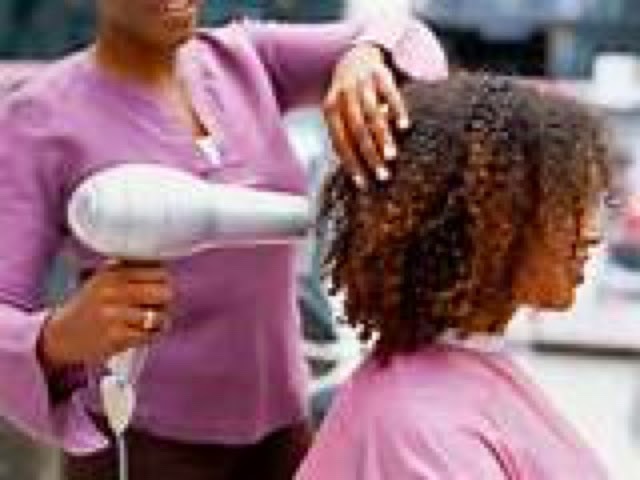 BlowOuts are also known as silk presses, thermal presses, etc, etc and so on. There is no need to be confused, at the end of the last pass of the flat iron, it’s all the same thing! Although this style is popular amongst naturals around holidays and special occasions, the wearer’s enthusiam is almost always met with concerns of heat damage so I am here to offer you four surefire ways to protect your tresses when direct heat styling. 1. Deep Condition with a moisturizing deep conditioner. Deep Conditioning will impart much needed moisture to the hair in preparation for heat styling. Remember if your hair is not properly moisturized prior to heat styling, it will not hold the style very long. 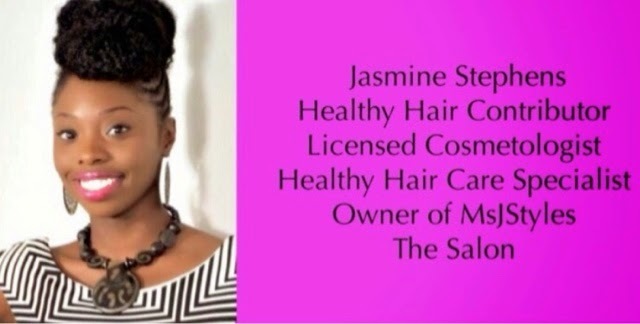 The hair will seek moisture from the environment and the humidity will eat your style alive! No bueno…. 2. Use a light leave in conditioner preferably one with hydrolyzed silk protein. A light leave in conditioner will not weigh the hair down. The silk protein will strengthen the hair while making it smooth and shiny during the smoothing process. 3. Use a blow dryer with a comb attachment on medium heat to stretch the hair. If you are not a fan of blow drying with a comb attachment, try flat twisting the hair first to elongate the curl pattern. Allow the hair to air dry or sit under a hooded dryer on medium heat. Blow dry on a cool setting to further straighten out the hair before flat ironing. 4. Apply a light heat protectant before using heat. Heat protectant is a must when using any heat tool. Heat protection spray acts as a barrier to absorb heat and prevent breakage for a smooth, frizz-free style. There are three layers to your hair. The outer most layer resembles shingles a lot in a sense that they'll peel up if damaged. Heat protectant prevents this. My favorite heat protectant in the whole wide world is Paul Mitchell’s Hot Off The Press. It is like the Jesus juice of heat protectant AND it smells awesome!